Jeph Loeb opened the Marvel Television Presents panel at San Diego's Comic-Con International 2011 by announcing update after update about Marvel comic books heading to the small screen at ABC, including the return of Hulk to your television, aka jessica jones, a live-action adaptation of Brian Michael Bendis and Michael Gaydos' Alias, and an ABC Family adaptation of Cloak and Dagger.Thanks to the Disney buyout, Marvel has access to ABC, which will be airing the bulk of their live action offerings. Loeb stressed that these series are in the earliest possible stages of production, which means that some details may change, but said they're focused on adapting these comics to other media as best they can. 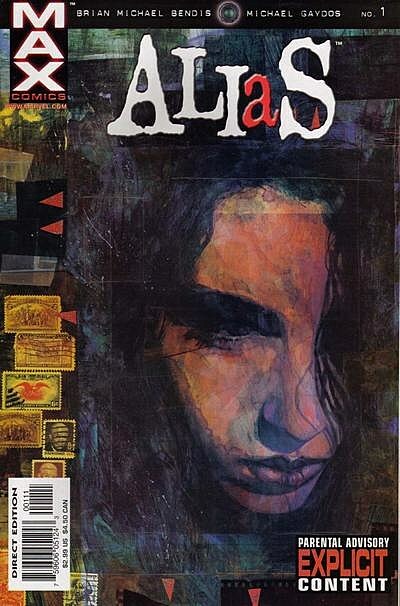 First on Loeb's list was aka jessica jones, which will air on ABC. It is based on Alias, a Marvel MAX comic created by Brian Michael Bendis and Michael Gaydos in the 2000s, and stars Jessica Jones, failed superhero and current private eye. Since J.J. Abrams already used the name Alias for a show some time back, a new name had to be found for this series, but the details appear to be the same as the comic. According to Loeb, it's the "story of a failed superhero who is rebuilding her life as best she can as a private detective in New York City." The series will follow her loves and her life as she tries to put everything back together. The series will also feature Carol Danvers, a.k.a. Ms. Marvel, who was a good friend of Jessica's in the comic. Loeb referred to her as "Carol Danvers" and not "Ms. Marvel," so it's fair to assume that the series will deal with Carol as a person first, and perhaps a hero second. Alias was always more about relationships than high-flying superheroic action, so that makes sense. Also featured will be Luke Cage, who a love interest in the comic, and is currently Jessica's husband in the Marvel uUniverse. Born Carl Lucas, Luke Cage is a street-level superhero with impenetrable skin and a certain measure of super strength. After being wrongly convicted of a crime and gaining powers in a prison experiment, he was known as Power Man. As he got older, he traded in his costume and supranym for street clothes and a normal name. Hulk is coming back to TV, courtesy of ABC. "This is a brand-new take on the Hulk," said Loeb. "It will focus on the early days of the Hulk, when people didn't know about his terrifying secret and enormous powers." The series will be focused on the love story between Bruce Banner and Betty Ross, and how the Hulk will bring them together and tear them apart. In what seems like a move to grab teenagers and families, Cloak and Dagger will air on ABC Family. 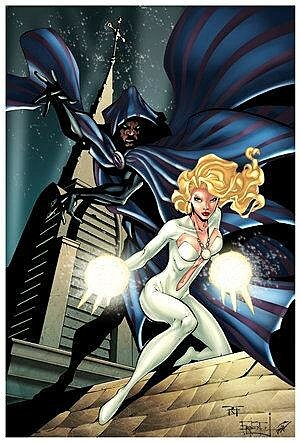 In the comics, Cloak and Dagger are two characters who gained their complementary powers in an experiment and escaped onto the streets. Loeb described the television series as the "story of two teenagers who find each other and realize that their powers both complement and complicate their lives." While Cloak and Dagger were set in New York City in the comics, this series will be set in post-Hurricane Katrina New Orleans. It's unclear if this will be a Treme-style exploration of NOLA immediately post-Katrina, or if the series will simply take place in NOLA after the hurricane. In an even earlier stage of development is Mockingbird. While the character is an adult secret agent in the comics, the television series will feature a younger version of the character. Bobbi Morse, a freshman at a prestigious university in Silicon Valley, is a "Peter Parker[-style] nerd" who is recruited by a super-spy organization in the Marvel Universe. This will presumably be SHIELD, just as it is in the comics. After that, her life changes. She's a student by day and learning to be a secret agent at night. According to Loeb, "We like to refer to this one as Alias meets Felicity." What's most interesting about these live action TV announcements is that they aren't actually superhero features. If you look at Spider-Man, Iron Man, or Captain America, they are superhero movies first, and action comedies or war movies second. These shows all have very, very simple hooks, and the superheroic stuff is used as window dressing. aka jessica jones is a drama/mystery show, Mockingbird is a spy feature, and Cloak and Dagger sounds like a teen drama. The superheroic aspects of the characters provide dressing for the stories, rather than being the entire point of the series the way they are for the movies. Loeb explained that all of these shows are set up as taking place in the real world, but where a few certain people have special powers. There was no talk of crossover between the live action franchises, either, though it's easy to tell that S.H.I.E.L.D. will presumably feature in at least two of them. This is an interesting but wise take on the Marvel Universe from both a budget and storytelling perspective. A high-flying Spider-Man show would require effects and/or look like Smallville. A low-key show about a private detective who is super strong? That's a little easier to produce and to convince people to watch. It's something familiar, but with a twist. There are currently no announced release dates, producers, directors, or cast for the announced Marvel Live Action series.